Here’s a great new freebie from SavingStar! 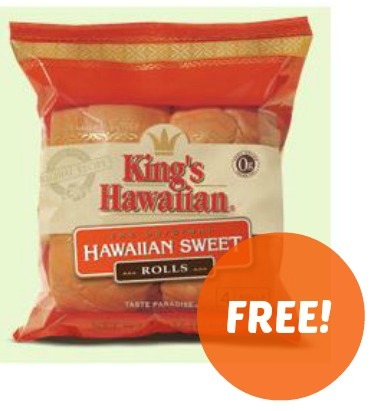 Get 100% back when you buy one (4pk) of King’s Hawaiian Dinner Rolls through 3/9. These rolls are delicious and great to have on hand for dinner, especially since they are FREE! They can also be a good alternative to typical sandwich bread too. This coupon expires on 3/9 and is good for one use only. Check back every Friday for a new Freebie! Head to savingstar and load your store loyalty card numbers for Kroger, Bi-Lo, CVS, Rite Aid, Ingles, Harris Teeter… then head to anyone of the stores you registered and buy the item. Your discount will not come off at the register, but will be put into your account on SavingStar. When you have $5 saved up you can get it out in a direct deposit, gift card or other options.